286. Toe and lifter for working puppet valves in steam engines. 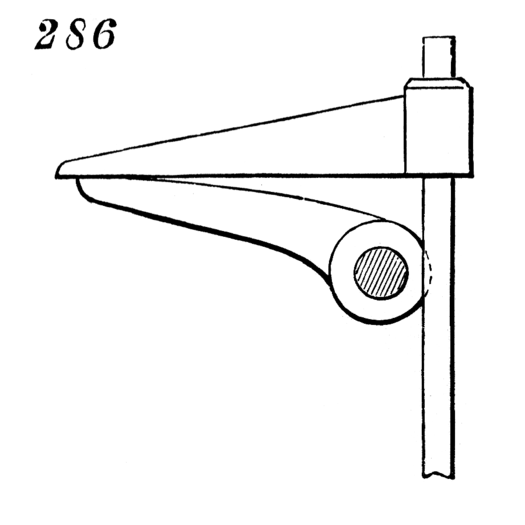 The curved toe on the rock-shaft operates on the lifter attached to the lifting-rod to raise the valve. We now refer to this type of valve as a “poppet” valve.